50% of the world’s major aerospace manufacturers and suppliers have selected Global Aerospace as their insurance partner. Global is a market leader in providing insurance capacity for manufacturers of aircraft and aircraft components to cover liabilities arising out of accidents involving their products or services. Our team of experienced underwriters are able to help you assess your potential risks and tailor your policy to cover a variety of product liability exposures anywhere in the world. 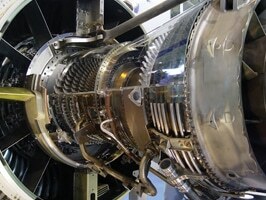 To learn more about insurance for aerospace manufacturers, please contact your local Global Aerospace representative.